For the last 12 months people from all over Cornwall have been meeting at Lanhydrock country park in Bodmin to take part in Park Run. This morning they celebrated their first year of successfully holding the timed 5km event each week and celebrated in style with lots of cake! I only joined Park Run a few weeks ago and this was my 5th attempt at the 5km course. This morning the temperatures were freezing, quite literally with temperatures in low single figures. Driving to Bodmin I drove through rain and could see snow up on the hills of Bodmin moor and really did begin to wonder why on earth I was doing this so early on a freezing cold Saturday morning. Arriving at the car park and seeing everyone walking down to the course in their florescent clothes I realised that the course was also pretty frozen. 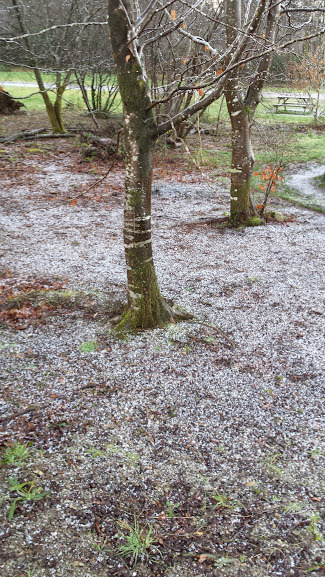 What looked like a hail storm over night had turned the area white and the pavements and pathways from the car park to the start of the course were wet and icy. Arriving at the start line the volunteers presented awards to those with the highest points and thanked the volunteers and tail runner for their time and dedication to put on this free event. 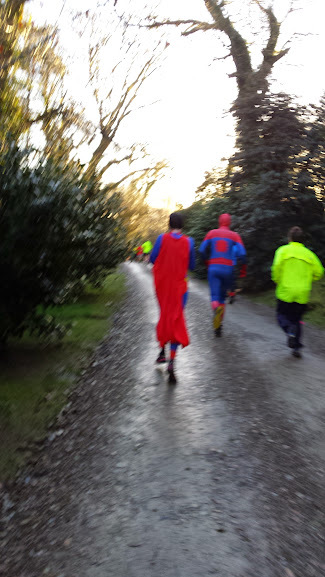 With the arrival of Spider Man and Super man we were off running the course. I've only done the course 4 times previously and quite like the first section of running, starting off downhill on a paved path, but this morning this paved path was a sheet of ice so had to begin on squidgy, soggy, bogs of mud. 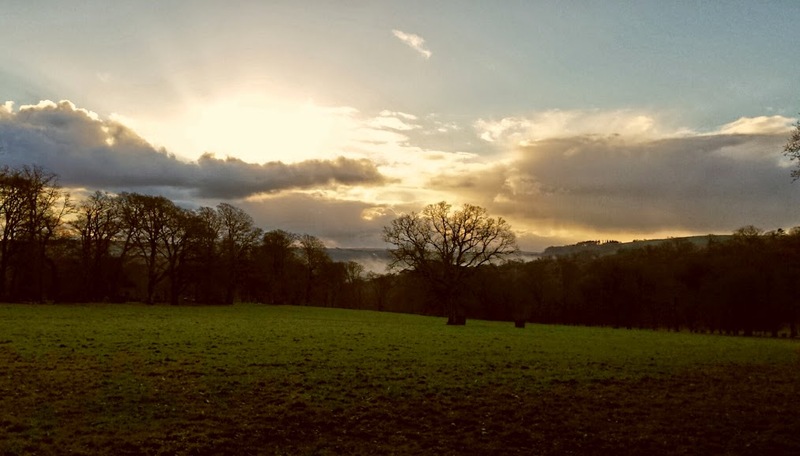 Once I had warmed up I started to enjoy the run, the sun was beaming through the trees and the tree's were dripping water that glistened in the sun light. Running past the river takes your mind off the pain of running and gives you a bit of rest on the flat river bed. Having only completed a few park runs and not having done any running for many years I still haven't managed to run the full 5km circuit but each week i manage to run further and further before walking and also managed a new PB today. I'm loving taking part in Park Run and love the competitiveness of beating your own time each week, once I've done my first 10 park runs I want to volunteer to do the photography at one of the sessions, but for now I want to work towards running the whole course and getting a time below 30 minutes. Thank you to the Volunteers that donate their time to put on the event and Happy Birthday to Bodmin's Lanhydrock Park Run. Why do we go running in the pouring rain? Where do you go cycling in Cornwall?